Does your drinking water look like this (bucket to the left, below)? We are certain that it does not. In the rural areas of third world countries where there is no power source or functioning borehole this may be the only water available to the village population. We believe we have the perfect solution, as you can see at the background of the above picture and is why you must read on. Exposure to the type of drinking water in the foreground of the picture, leads to significant health issues with particularly alarming morbidity and mortality in the young (age 5 and under). 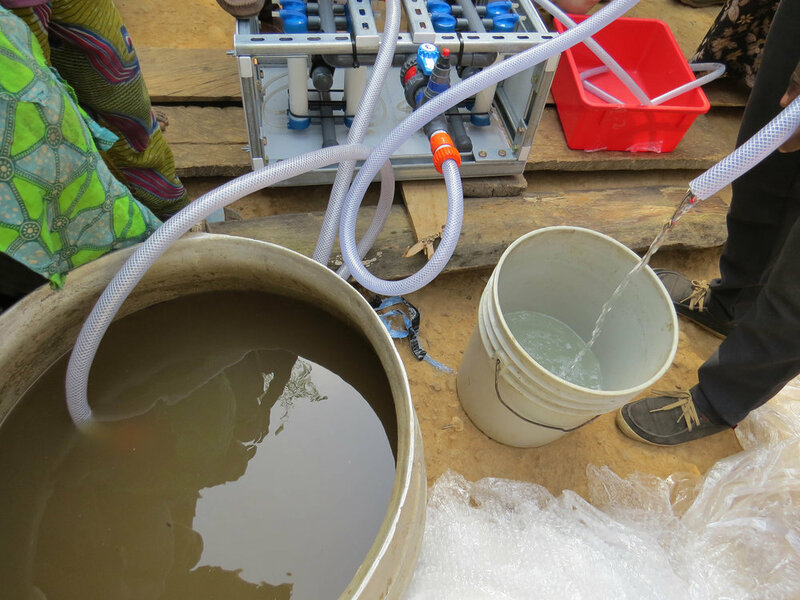 Significant data are available demonstrating that contaminated water is a significant cause of diarrheal disease, subsequent dehydration and acute kidney injury. Click here to read more about our Background. Several years ago, in a hemodialysis center (treating people with kidney failure) in Israel, we saw a person collecting hemodialysis filters, (see below) which had been used to treat patients that day, to be taken back to a plant in Tel Aviv for resterilization. 450 (~) of these recycled, resterilized filters were then aggregated into one large system, to be then placed on the site of the sewage treatment plant in Tel Aviv. When the sewage water was electrically “pushed” through the filters, pathogen (i.e. viruses, bacteria or parasites) free water was/is produced, which is subsequently used for crop irrigation in Israel. Contaminated water flows from the right through the filters and free of all pathogens to the left. Periodic backwash is needed to “unclog” the filters, the frequency depends on the presence of sand or dry vegetation. The average seems to be 3 time per day for 10 – 15 minutes. Click here to read more about the NUF500 Device. Happy customers leaving with 100% purified water for drinking in the home. 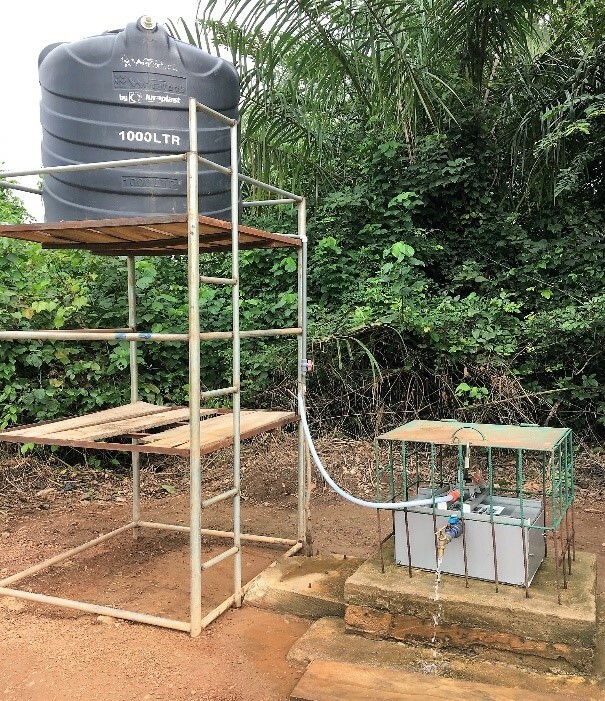 To see future plans for NUF500 installations in the balance of the estuary islands above, areas of Northern Ghana and sites identified in Tanzania go to our Villages page. Providing clean drinking water in rural areas with contaminated water sources and no power. 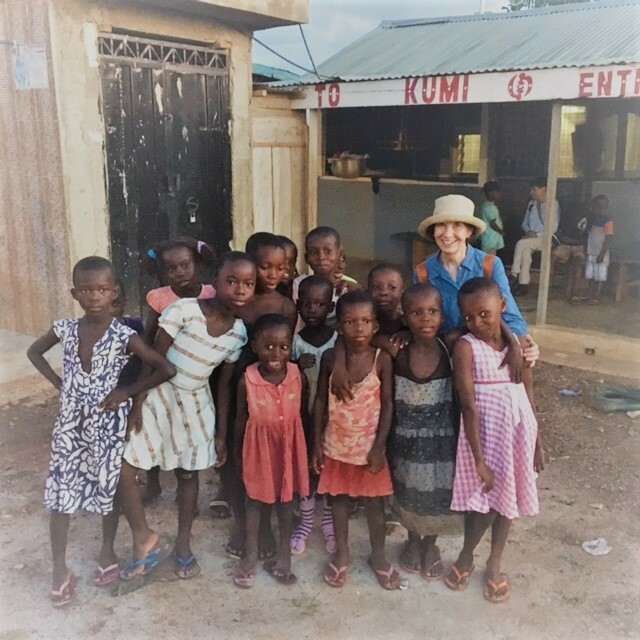 With this mission statement our goal is to establish, via pre- and post-data collection, an adequately powered study that will demonstrate the effect of the provision of clean water on public health focusing on the incidence of diarrhea and consequent illnesses. Click here to read more about our Data Collection.